We couldn't exist alone. Together, we can change the world. Thanks to all our partners including all those in our "Places" destinations and those listed below. If you're interested in partnership or collaboration, please get in touch. The UN World Tourism Organisation authorised Earth Changers as a solution to sustainable tourism for development in 2017, the International Year of Sustainable Tourism for Development (#IY2017), designated by The United Nations 70th General Assembly. #IY2017 was developed as a unique opportunity to raise awareness of the contribution of sustainable tourism to development among public and private sector decision-makers and the public, while mobilizing all stakeholders to work together in making tourism a catalyst for positive change. In the context of the 2030 Agenda for Sustainable Development and the Sustainable Development Goals (SDGs), the International Year supported a change in policies, business practices and consumer behavior towards a more sustainable tourism sector that can contribute to the SDGs. Defra, the UK’s Department for the Environment, Food and Rural Affairs invited Earth Changers’ Founder, Vicky, to be one of their new ambassadors to champion green action in February 2019. Ambassadors were chosen for having shown tremendous passion in their drive for environmental protection and have been tenacious in their desire to raise awareness. 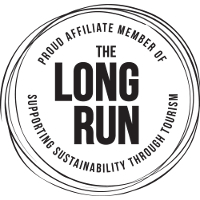 Earth Changers is an Affiliate member of The Long Run - a global membership organisation of nature-based tourism businesses committed to driving sustainability to maintain a healthy and productive planet for posterity. Collectively The Long Run aspires to conserve 20 million acres of biodiversity & improve the life of two million people by 2020. The Long Run supports, connect & inspire nature-based businesses to excel in following the highest standards of sustainability encompassing Conservation, Community, Culture and Commerce (4Cs). SUNx - is a program of the EU based, not-for-profit Green Growth and Travelism Institute, and a legacy to the late Maurice Strong - sustainable development pioneer. Its goal is to promote Climate Resilient, Impact-Travel with good & bad effects measured and managed coherently: with Green Growth at the core and, 2050-proof in line with the Paris Accords and the W.E.F. 4th Industrial Revolution. At its heart are SUNx Centres: prefabricated, solar powered climate research and innovation centres for climate resilience learning and capacity building. Earth Changers founder Vicky is honoured to be invited to the SUNx Council. A portable water filtration system that eliminates well in excess of 99.9% of all microbiological contaminants including viruses, bacteria, chemicals and heavy metals from any non-salt water source. The filters aren’t just strong enough to remove bad smells, tastes, protozoa, chlorine, and fluoride, but even typhus, cholera and hepatitis. So they keep you safe, save you money and protect the environment from the damage caused by single-use plastic water bottles. The perfect travel companion for Earth Changers where ever you go! What's more, Water-to-Go offer Earth Changers a 15% discount on water bottles and products! Click here to order Water-to-Go bottles & use discount code "EARTHCHANGERS" to save 15%! Earth Changers was chosen as a finalist in the NatWest SE100 Social Business Awards 2019. The final shortlist includes more than 30 organisations, all named in this year's SE100, a list of the Top 100 social businesess. The NatWest SE100 celebrates the growth, impact and resilience of social ventures in the UK – by naming the most impressive 100 social enterprises of the year in the Index. Earth Changers is a proud member of the NOI Club, a community of female achievers who regularly meet to champion each other and move forward together.